This week, The Musafir Stories speaks to Sachin Bhandary from Eccentrips. Sachin is building a startup that focuses on long term purposeful travel. Listen to Sachin talk more about his flip on the executive MBA - The 12 project and how he traversed India in 25 days and 25 trains, touching the 4 farthest railway stations - Kanyakumari (S), Ledo (E), Baramulla (N) and Okha (W)! Nearest Railway Station: Is not far away! Prerequisities - confirmed railway tickets! Packing - Pack light, make sure you carry locks for your bags! Length of the itinerary: 25 days! Sachin heads towards the first milestone of the trip to the southern most tip of India - Kanyakumari, with stops at Sachin's native town, Udupi. Dont miss out savoring some delicious food on the Mandovi Express. Next head towards the east of India, Ledo in Assam. 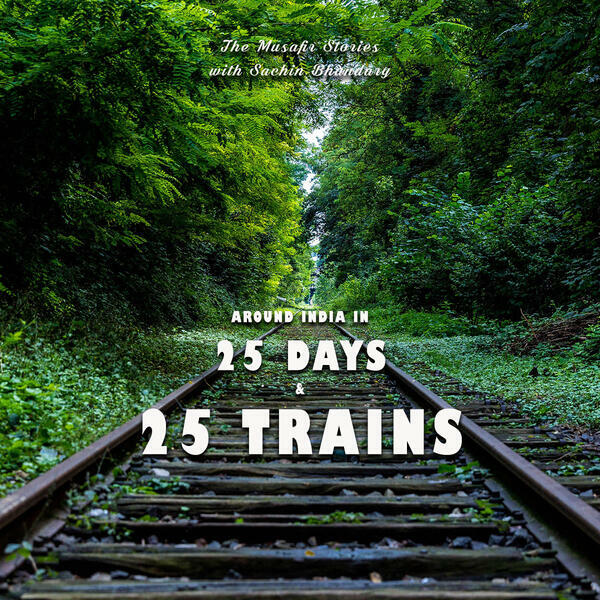 The journey includes traveling on the Vivek Express, the longest train journey in India. This leg is not without drama, so make sure you stay tuned!